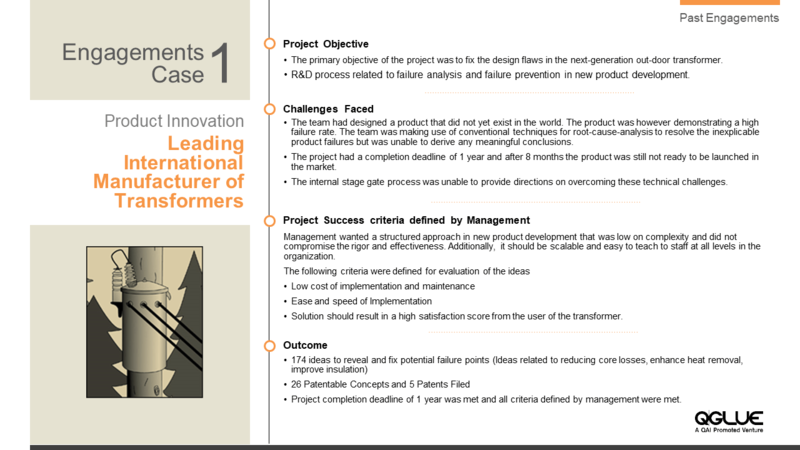 transform businesses and the human condition. Promoted by QAI, QGLUE brings a unique Design and Innovation led human-centered approach to building products, services and businesses —making future living better with happier people. 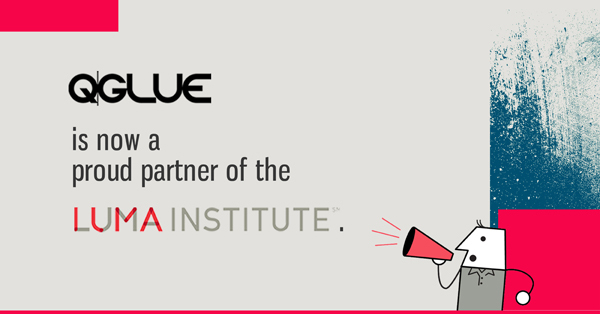 QGLUE’s Design expertise brings to bear a lean and agile approach to deliver real customer value by combining analytics, process modeling, and simulation with human-centered design. 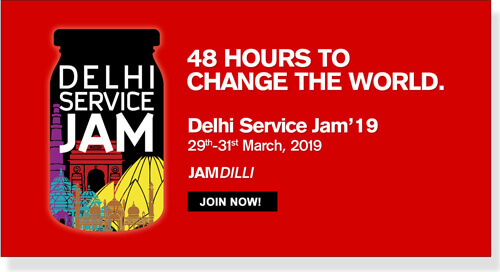 The Delhi Service Jam (JamDilli) is a non-profit event, which during a weekend will bring together various multidisciplinary work teams to prototype solutions around a unique and secret theme, revealed at the same time in the 103 participating cities of the world. 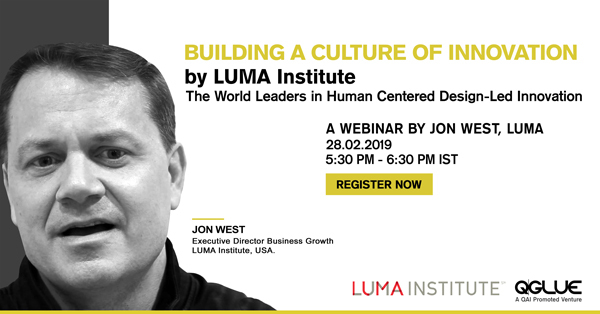 LUMA Institute, USA, the world leaders in Human Centred Design-led Innovation with QGLUE is bringing the webinar- “Building a Culture of Innovation” by Jon West. 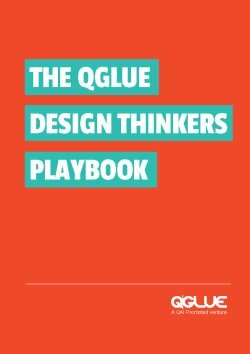 QGLUE is honoured to be asked by The Olympic Gold Quest (OGQ), a non-profit foundation (set up to help India win more gold medals) to use design thinking to help re-imagine and improve their coaching program. 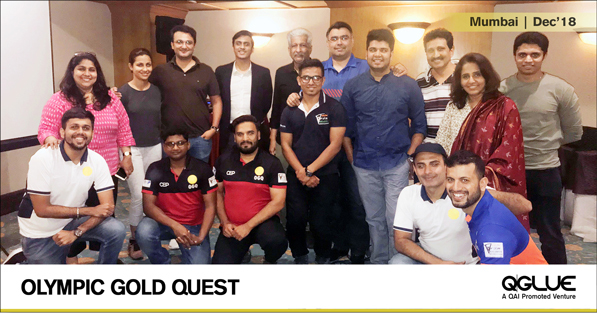 The OGQ is founded by Prakash Padukone and Geet Sethi and has supported 5 of the 8 gold medalists in the last two Olympics. 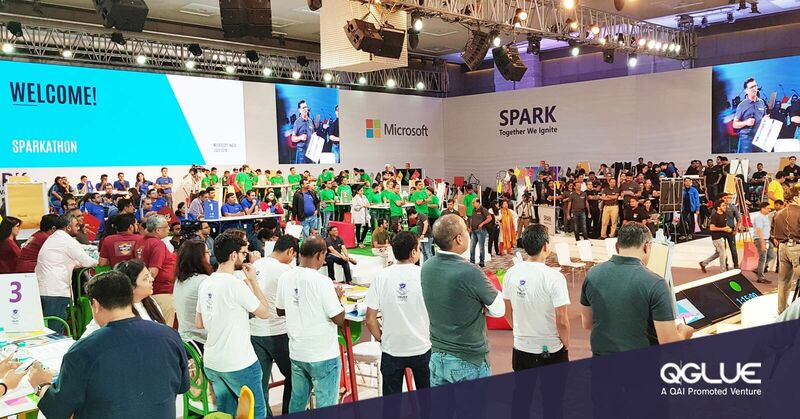 In the photo, notice Olympic Champion Gagan Narang and three times Commonwealth Medalist Heena Sindu, amongst others, who explored design thinking! Love the OGQ’s line “It takes just 6 grams of Gold to lift the worth of a nation”. 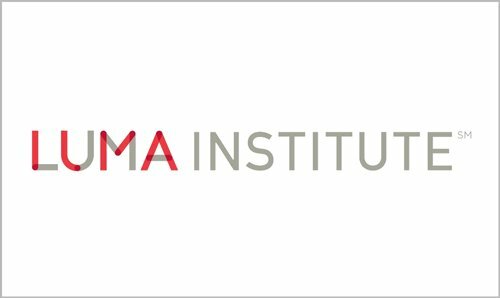 QGLUE & LUMA Institute, USA are partnering together to offer structured interventions for competency development in Human-Centered design and helping organizations around the world to innovate through their unique and powerful System of Innovation. For the TiE QGLUE Awards there was much deliberation, intense discussions and numerous rounds of selection. 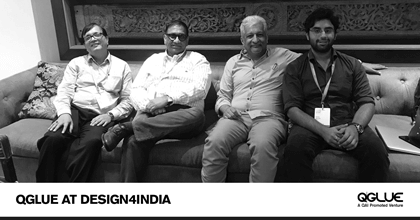 The final five who made it and presented to a live Jury: LBB, OYO Rooms, Tactopus, CAYA Constructs and Spread Design. 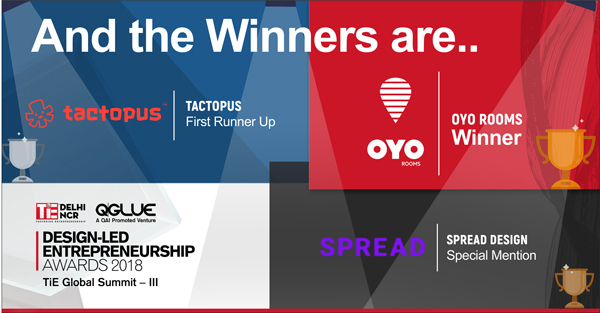 And the winner was- OYO! 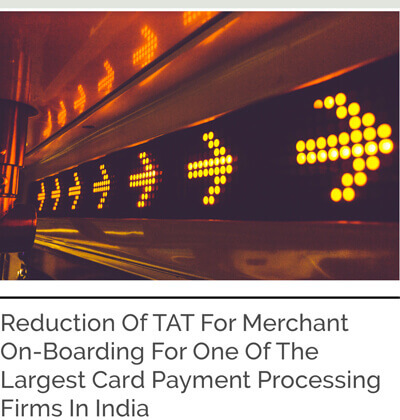 By means of enabling ‘change-making’ through ‘sense-making’, we equip businesses to become better designed – for enhanced customer experiences for Innovation and for Sustained product growth. Providing a holistic approach to creative problem solving, our services are designed based on the unique demands and the need of the hour in the experience economy. 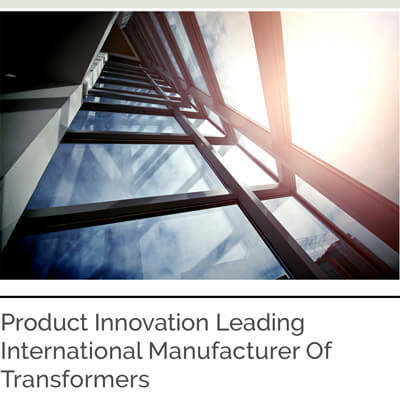 The services on offer have been designed by our leadership team that brings with them 100+ years of cumulative global experience in design, innovation and entrepreneurship. Putting people at the heart of everything that you do. Discovering the questions that can make life better. Creating a future that we all aspire to live in. Building a living business that is responsive to change. 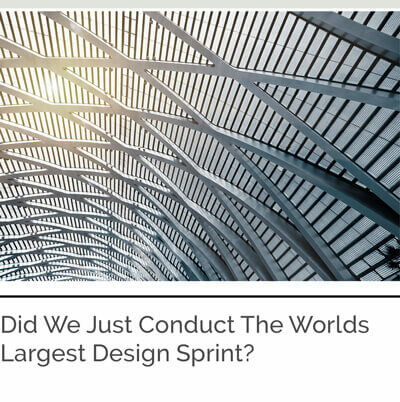 Did we just conduct the Worlds Largest Design Sprint? 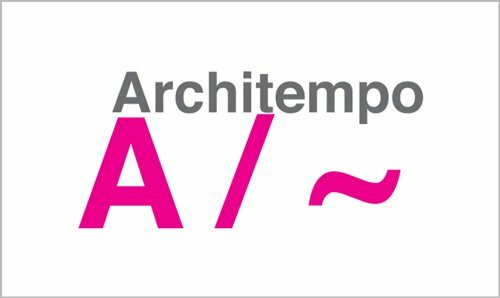 Not for everyone but for those who dare to build a future-proof organisation. 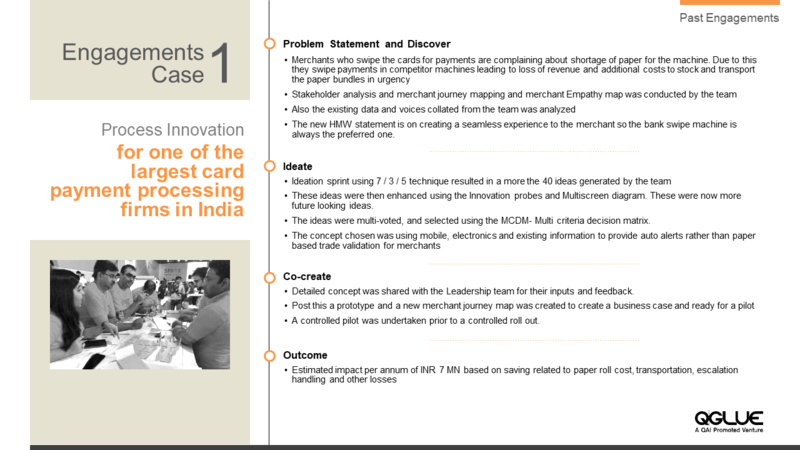 We have captured some of the most powerful tools of Design Thinking and Innovation. If you are reading this, you can be rest assured you are on the way to culturally transform yourself and the way you work. 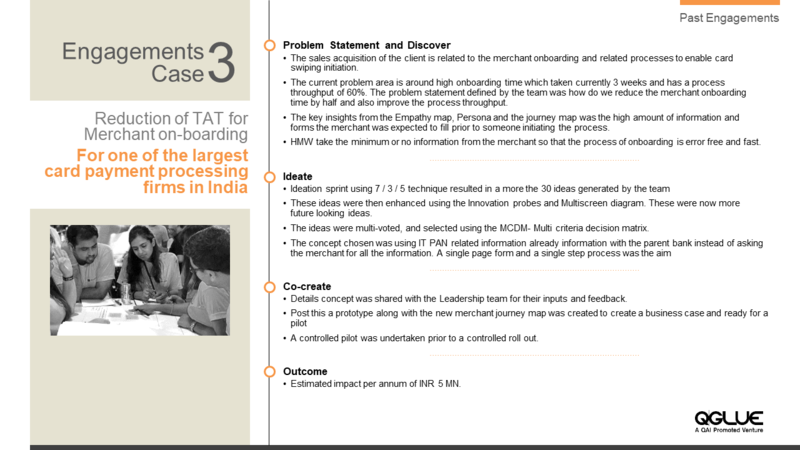 We have kept in mind that you might want to implement Design Thinking with your team and tinker with different tools. The playbook is designed in a way to have each tool on a separate page. 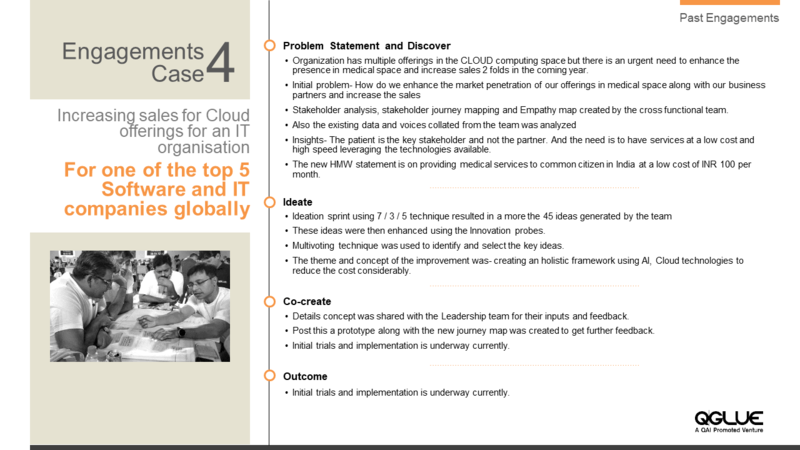 You can download and print the Playbook to use each Tool Page as a readymade Template. In each tool, you will find a brief description and easy-to-follow instruction to take quick action. We have also made sure that we give you download of some interesting and hot pick resources list. Building the Mindsets, Skill-sets and providing the Tool-sets. 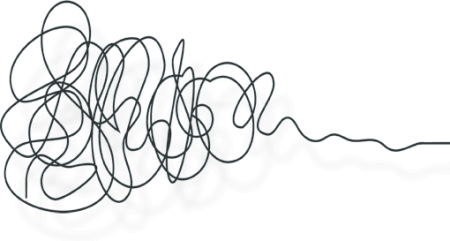 To design, one needs to work in a ‘designerly’ way. QGLUE’s curriculum of learning by doing empowers people and builds capacity in organizations to build the requisite mindsets, skill-sets and use the tool-sets. Sharing and engaging with the community. Globally, more than 118 cities with over 4000+ Jammers joined the Global Service Jam 2019. The 3-Day event was filled with intense brainstorming, tremendous fun, prototyping, and a lot of learnings! 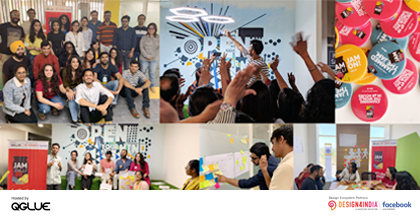 People from diverse background came together to create a service around the global theme for 2019 “BLUE”, different teams came up with their perception of Blue and created the problem statements which their service will resolve. QGLUE engaging with start ups to introduce new ventures to the power of design thinking and design led entrepreneurship. 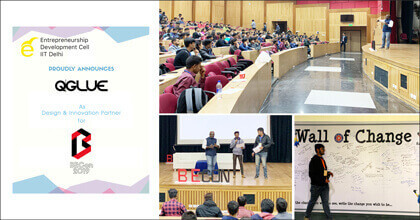 More than 200+ people attended the session at IIT Delhi. 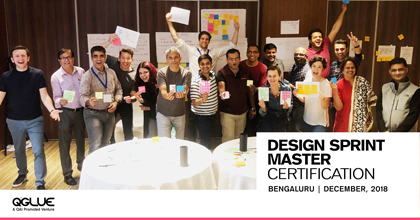 The first phase of DSA QGLUE of the first ever “Design Sprint Master Certification” program, in Bengaluru, India, comes to a close. Participants came from Dubai, Shanghai, Thailand and India. 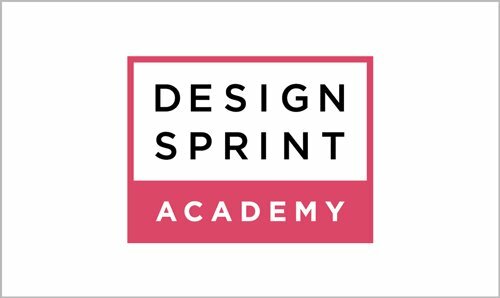 They go back ready to “sprint” and accelerate problem solving & innovation in their organisations, even as they continue to pursue the certification journey. Arvind Lodaya was a Jury Member and Design Coach for the Sprint, QGLUE Advisor Sudhindra V. spoke on the very trending topic (“Business by Design”), QGLUE Head of Innovation David P. Isaac designed the Design Sprint, and lastly, QGLUE Designer in Residence and friend, Alok b. Nandi gave perhaps the best keynote of the conference (“Designing Experiences and the Experience of Design”). 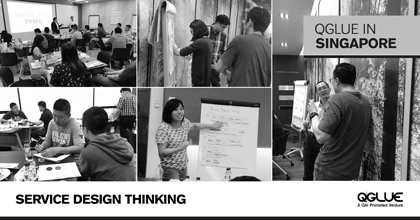 QGLUE brought Service Design Thinking to Singapore. Multiple participants from private and public sector organisations got to know how Design Thinking tools are employed to design and deliver services better for the end user. More coming soon! 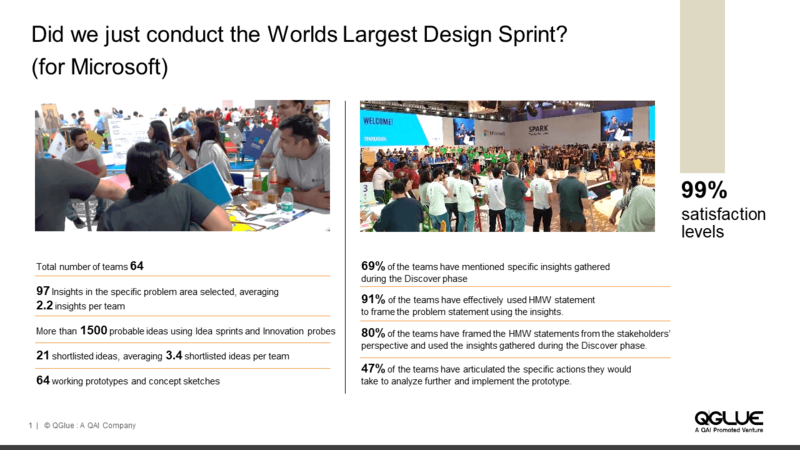 QGLUE conducted a three-hour Design Sprint which was very well received. 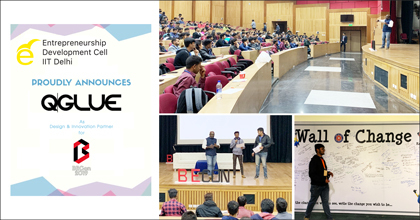 QGLUE Founding Member, Kshitij Marwah, won Best Design Award and was on the Panel for the Immersive session, QGLUE Fellow Arvind Lodaya was a Jury Member and Design Coach for the Sprint, QGLUE Advisor Sudhindra V. spoke on the very trending topic (“Business by Design”), QGLUE Head of Innovation David P. Isaac designed the Design Sprint, and lastly, QGLUE Designer in Residence and friend, Alok b. Nandi gave perhaps the best keynote of the conference (“Designing Experiences and the Experience of Design”). A selection of our recent webinars. Enroll yourself in the latest upcoming webinars, view our previous ones. The TiE QGLUE Design-Led entrepreneurship award seeks to recognize and reward entrepreneurial ventures driven by Design. The first award of its kind in the country. 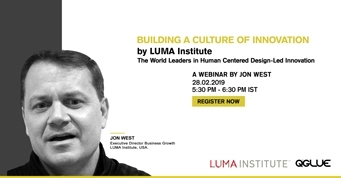 Entrepreneurial ventures that are driven and led by design, with a special attention to the “human-centred” approach to shaping business are the need of the hour, in this experience economy. 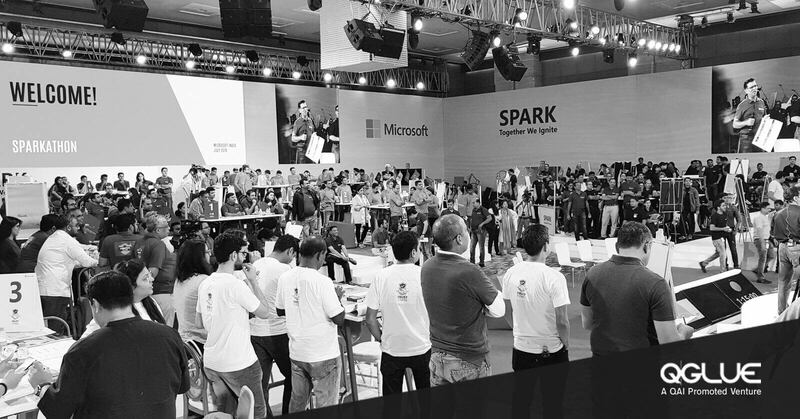 With so many great ideas, what makes a venture succeed is the undertaking of a venture journey that has empathy at the core of all its processes, balances business imperatives with technological feasibility, along with human needs and desires. Ultimately, impacting people. 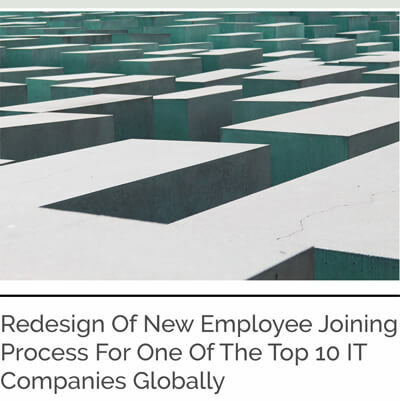 See some of the clients we’re helping across industries by delivering measurable improvement in their customers’ experiences and organizations performance. Incubated in 2017, QGLUE is a QAI promoted venture. Founded by William Perry, USA in 1980, QAI is a transnational consulting company facilitating quality and process improvement in organizations worldwide. 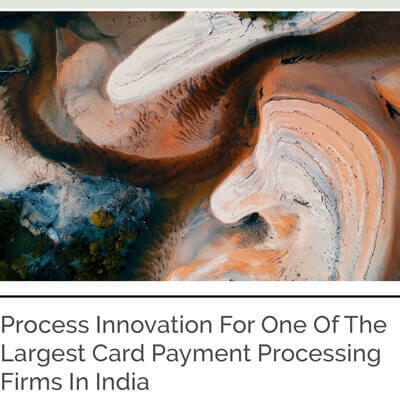 With presence in 30 countries and 700 successful client journeys, QAI has evangelized process improvement, operational excellence and quality in India and globally. QAI equips organizations to achieve Operational Excellence through deployment of best practices and processes.